Minutely hazy silver color. Spicy aromas and flavors of ginger powder, lime peel, citronella, lemon chiffon cake, and green peppercorns with a satiny, crisp, effervescent, sweet light body and a smooth, medium-length finish. A light, gingery highball with a nice tingle. Bottom Line: A light, gingery highball with a nice tingle. 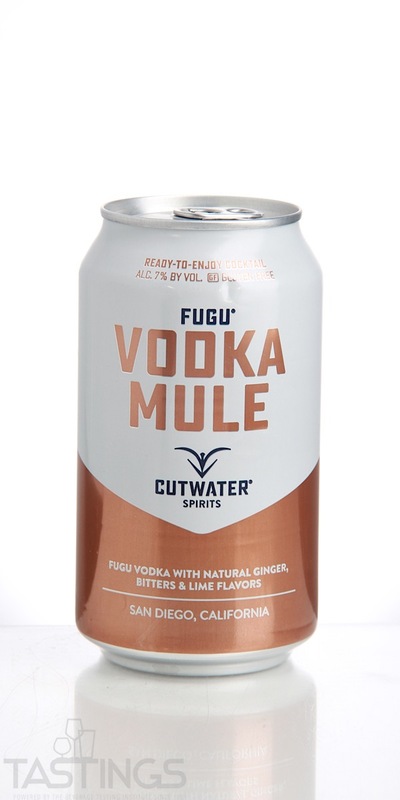 Cutwater Fugu Vodka Mule RTD rating was calculated by tastings.com to be 87 points out of 100 on 5/16/2018. Please note that MSRP may have changed since the date of our review.